T-Mobile and Sprint are gunning for customers who want an "unlimited data" plan. Both companies announced new options on Thursday, but the plans carry several caveats. Starting Friday, Sprint's "Unlimited Freedom" plan will give customers unlimited talk, text and high-speed data for $60 for the first line, $40 for the next, and $30 for each additional up to 10. Meanwhile, the new T-Mobile (TMUS) ONE plan -- which starts September 6 -- is similarly priced: $70 a month for the first line, the second at $50 and additional lines are only $20, up to eight lines. Regardless of which carrier you choose, a family of four will pay the same price of $40 per line. The announcements come on the heels of Verizon and AT&T adjusting their data packages and prices -- an expansion of the carrier pricing wars. However, it's important to note none of the options are truly new or fully unlimited. Both carriers have existing versions of an unlimited or overage-fee free plan, but throttle (or slow down) speeds after hitting a certain data cap. The new plans do away with throttling. The catch with T-Mobile's ONE plan is all videos are streamed in standard definition. T-Mobile will charge $25 per line for high-defintion streaming. Sprint similarly restricts video quality and also limits music streaming quality to 500kpbs and gaming to 2 mbps. Sprint CEO Marcelo Claure said in a statement that the difference in quality is "practically indistinguishable," according to its customer tests. In an email to CNNMoney, the company also accused T-Mobile of copying its strategy. "We've had this in market trials since July," spokeswoman Laura Lisec said. "And we're a better price. And we launch tomorrow and they launch in [September]." In response, T-Mobile said it's been working on its plans for almost two years. As for AT&T and Verizon, the two biggest carriers both recently did away with overage fees but -- unlike Sprint and T-Mobile -- still throttle speeds after a certain point. AT&T (T) announced it would stop charging people for data overage fees. Instead of hitting customers with fees for going over data quotas, it will automatically reduce wireless speeds to 2G. Customers can pay for more data at faster speeds, if they so choose. Meanwhile, Verizon (VZ) recently introduced a pre-paid "Safety Mode" feature, which allows users to pay a set overdraft fee before quotas are met. Both of these strategies are meant to provide a pseudo-unlimited data plan, but Sprint and T-Mobile's latest flat-fee update may be more appealing for customers who want simplicity and don't care as much about video streaming quality. While T-Mobile will keep its existing data plans around, Legere said during a press conference the plan is to eventually retire them, but existing customers will be able to stay in their plans if they choose. The company likened the move to what happened when the carriers moved away from monthly talk "minutes" to "unlimited" options. 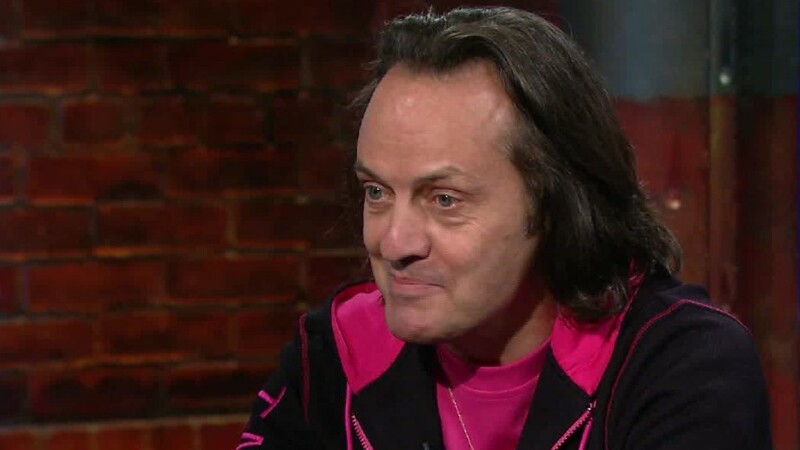 "This is not just a rate plan for us," CEO John Legere said on a conference call Thursday morning. "It simplifies the whole concept of how you deal with T-Mobile."